Welcome to another Types of Carriers series post! To see all of the types of carriers as an overview as well as to see the posts about each class please go check out this post. Today I will be talking about Asian Inspired Carriers. Included in this type of carrier are the Mei Tai, Soft Structure Carriers (often abbreviated to SSC), Onbuhimu (often shortened to Onbu), and Podagei (often shortened to Pod). These are all based on traditional carriers used for many generations in Asian cultures. This class features a body of the carrier and straps. Sometimes there is a chest belt between the shoulder straps (many Soft Structure Carriers) or you are able to create one with a tie off. Some carriers have waist straps (SSC and Mei Tais) and some have long shoulder straps to be used instead (Pod and Onbu). There is some structure to all of these carriers so there are limits to how these can be tied off and used but some babywearers prefer this and this also makes for a friendly carrier to have in your car. 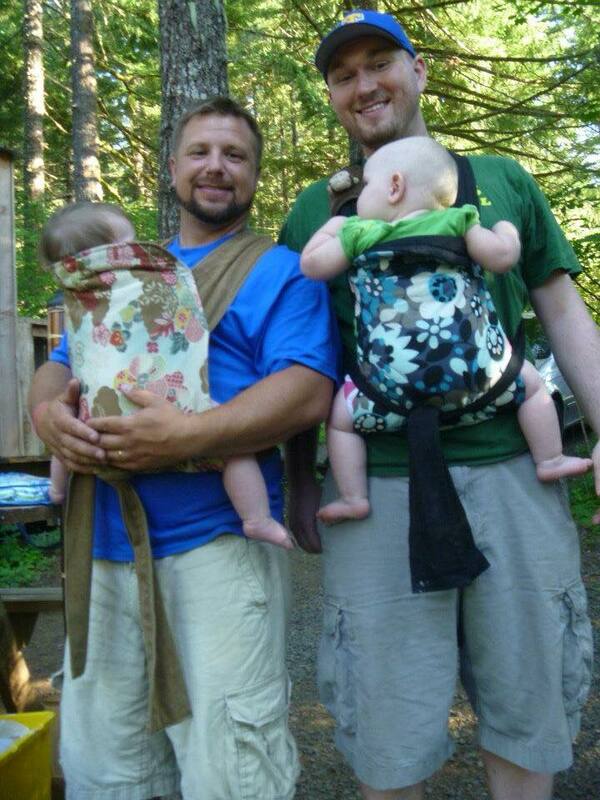 Many dad really like this class of carrier though dads can like all types of carriers. In the past this class has also been called ABCs (for Asian Back Carriers). Thank you Katie Waugh for the awesome daddy wearing picture! Mei Tais features 4 straps: 2 for the shoulders and 2 for the waist (coming off symmetrically). These can come off from the top or side or from the corner depending on the brand. These are very adjustable because you tighten and tie off where you need to which makes these a great carrier for differing parent body types. Mei Tais can be converted from a woven wrap for extra strength and comfort. Out of all of the classifications and types of carriers Mei Tais probably have the lowest learning curve, next to a soft structure carrier. You can make your own with the right pattern and materials-it’s important to note that you do need to make sure that the straps have a long enough portion of fabric sewn in to the body panel and X-boxes need to be sewn in to support the pull and strain that is put on that part of the carrier. Some common brands are Baby Hawk, Kozy, and even Didymos and Girasol make reasonably priced wrap convert Mei Tai carriers. 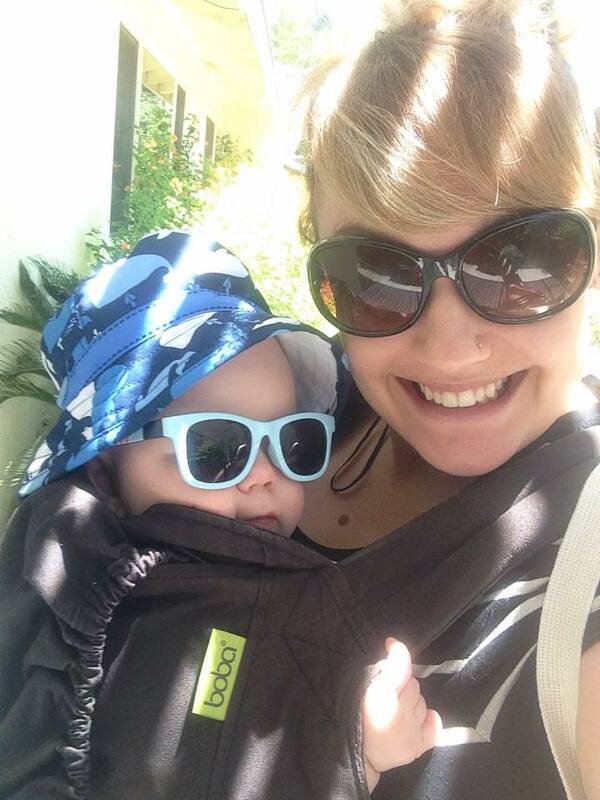 Thank you Sarah Smith for the picture with your sweet baby in a Boba carrier. There are many brand options in the SSC class. The most common that you may hear are Ergo, Boba, Beco, Kinderpack, Tula, and Lilibaby (though there are many options at a big variety of price points). These feature a buckling waist and structured arms that adjust with webbing or adjust with webbing and unbuckle so they can be crossed if you like. Most also have chest buckles. Most are built to only wear on your front and back but hip carries may be an option if the shoulder straps unbuckle from the body of the carrier (check with the manufacturer if they do). Brands differ slightly in the body shape, length and width of padding in the shoulders (though the width is very similar in all the major brands except Kinderpack), materials used (some feature a mesh panel against baby’s back), amount of padding in the shoulders, etc. Because of these small differences though you can get a VERY different fit between brands or even within the brand with their different types of carriers. You may have to try several brands to find what works well for your body type. 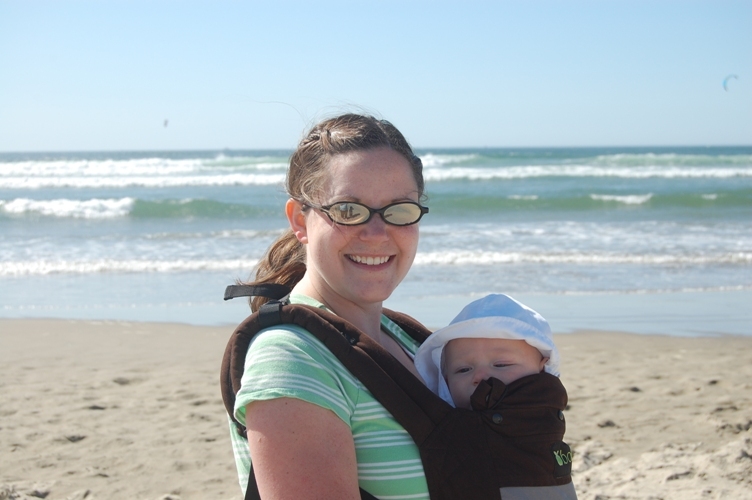 You may even find that with different body types between parents and others that want to wear baby the carrier might not fit very well because there are often big differences in body types. These carriers are quick to get on and off though and probably have the lowest learning curve of any carrier (with a few exceptions between brands that some may find harder to use than just simply buckling the waist, putting baby in, and buckling the chest buckle). While these might be able to be made by yourself, the buckles and materials that need to be used are harder to find than other types of carriers and I don’t recommend most people make them at home. Other Asian Inspired Carriers (not pictured): Onbuhimu, and Podagei (often abbreviated to Pod). The Onbuhimu features rings instead of a waist strap which may be very comfortable for a pregnant mom’s growing belly but puts all of baby’s weight on your shoulders. The Podagei features long top straps and a blanket-like panel. The long straps are used to cross under baby’s bottom. All of baby’s weight is on your shoulders. These can possibly be made at home with the right materials and patterns (the X-boxes and depth of the straps in to the body of the carrier mentioned in the section on Mei Tais are important to note). What is your favorite type or brand of Asian Inspired Carrier?